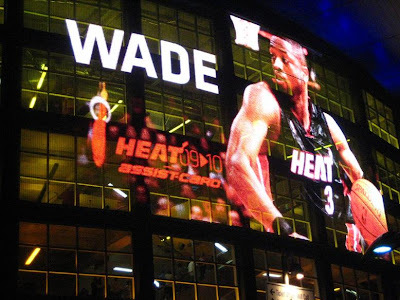 If you haven't been to a Miami Heat game this season, the time has arrived! They're not only the hottest team in the NBA but they also have the #1 dance team. Check out one of their games before the end of the year. Since Christmas is right around the corner, why not donate some toys for a good cause? The Miami HEAT Charitable Fund is actually teaming up with David Barton Gym over the holidays to raise awareness for their 2009 Toy Drive. Bring a new toy and receive a free a workout at their gym. Toys may be dropped off at the Gansevoort South (2323 Collins Avenue in Miami Beach). Enjoy training in yoga, pilates, cycling, cardio or any other class of your choice. For more information, call 305-534-1660 or send an email to Miami@dbgym.com. To check out the Miami Heat, visit http://www.nba.com/heat/index_main.html. LET'S GO HEAT!